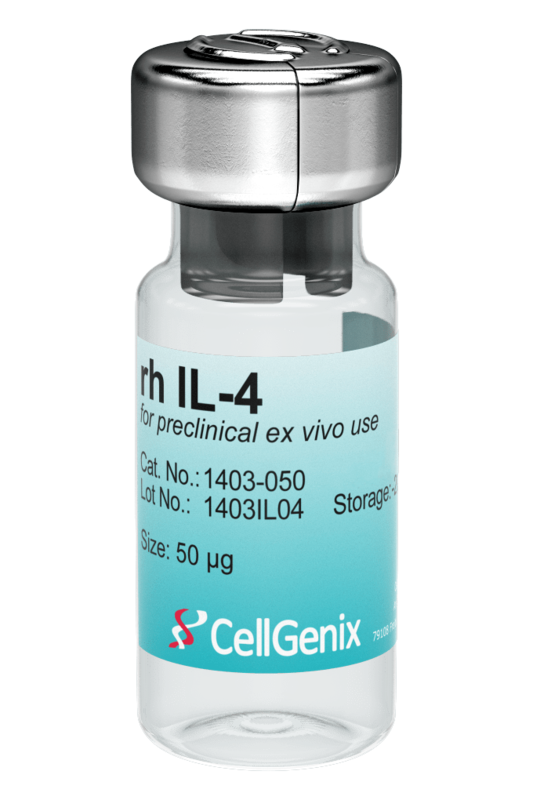 CellGenix Recombinant Human IL-4 reliably stimulates the differentiation of monocytes into dendritic cells (DCs) in combination with GM-CSF. It is produced in our dedicated animal-free facility ensuring maximum safety for optimal use in ATMP manufacturing. 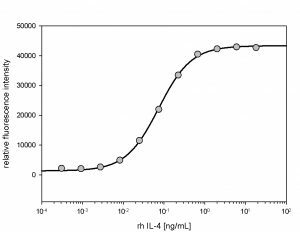 Interleukin-4 (IL-4) is a cytokine that plays a key regulator role in humoral and adaptive immune responses. It promotes growth and differentiation of B cells, T cells and cells of the monocytic lineage. IL-4 is used in the cell and gene therapy space in combination with GM-CSF for the ex vivo differentiation of monocytes to immature DCs. 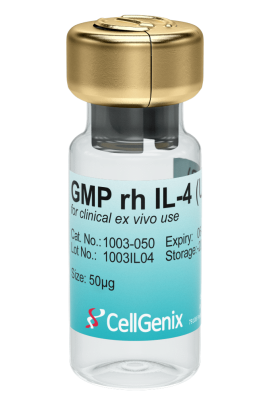 CellGenix GMP Recombinant Human IL-4 is produced following all applicable GMP guidelines and allows for the safe use in accordance with USP Chapter <1043> and Ph. Eur. General Chapter 5.2.12. It is the reference standard for USP Chapter <92> and worldwide the first cytokine that complies with this chapter (USP grade). Our GMP cytokines are provided with documented evidence of purity, potency, consistency and stability. 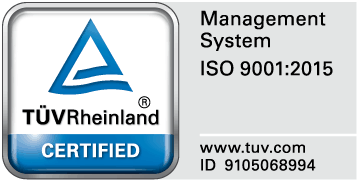 In combination with our expert regulatory and technical support this will help simplify your raw material qualification and validation efforts. Both product grades are produced under the same conditions in a GMP facility, ensuring an equal product quality and performance.  We offer a more comprehensive QC testing including tighter specifications and documentation for our GMP products: Preclinical vs GMP. Intended use Intended for preclinical ex vivo use. Not intended for therapeutic use. Intended for clinical ex vivo use. Not intended for human in vivo application. Recommended in sterile water to a final concentration of 250 µg/ml for 50 µg vials or 500 µg/ml for 1 mg vials. ≥ 6 months from date of shipping. Please refer to Certificate of Analysis for the exact expiry date. • 4 weeks at 2°C to 8°C under sterile conditions after reconstitution. Store in the original container. • 4 months at -20°C to -80°C under sterile conditions after reconstitution. Store in 60 µl aliquots in polypropylene cryogenic vials. 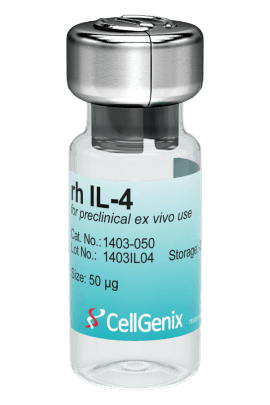 The activity of GMP rh IL-4 was measured in a cell proliferation assay using the IL-4-dependent cell line TF1. It was calibrated against NIBSC #88/656. You can find the batch specific activity on the certificate of analysis (CoA). In order to stay up-to-date with the international guidelines for raw materials, we are in constant interaction with regulatory authorities worldwide. In this regard, we amongst others helped defining the European guidelines which are outlined in the new general chapter Ph. Eur. monograph 5.2.12.